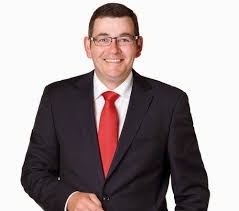 Daniel Andrews is set to take office for Labor in Victoria with a resounding electoral endorsement. But one crucial issue was neglected by everyone during the campaign. Arguably no state government in the country has secured the revenue necessary to sustain government provision of public infrastructure in everything from transport to public housing and education over the long term. Interestingly, former Conservative Victorian Premier Denis Napthine himself had argued at one point for a higher GST. This could deliver the necessary funds to the states generally. Though the measure would have hit low income groups hardest, and hence would have been unfair. Meanwhile so-called ‘Public Private Partnerships’ (and ‘full-blown’ privatisation as well) also inevitably involve regressive user-pays mechanisms; and arguably are less efficient means of finance. ‘The Age’-columnist Ken Davidson has long made this argument to the chagrin of Labor and Liberal state governments alike. This makes the cause of progressive tax reform all the more pressing. Progressive tax reform is necessary to provide for working families who increasingly cannot afford a roof over their heads; or who endure insufficient transport infrastructure; or who may be the targets of future unfair ‘user-pays’ mechanisms via toll-roads and the like. We need to sustain more public spending, not less – to provide the roads, public transport, schools and public housing necessary to ensure no-one ‘gets left behind’; to gently deflate the housing bubble; and so services and infrastructure are funded sustainably and fairly. Again: That MUST mean increasing progressively sourced revenue Federally and ‘locking in’ the provision of necessary funds on to the States. The states desperately need certainty on this point. During the Victorian State election campaign both sides committed to ‘no new taxes’. Immediately, therefore, apparently Andrews ‘hands appear to be tied’ on the revenue front. Although perhaps the way may still be open to increase existing taxes. The dilemma is achieving this progressively. But none of this is to say Andrews Labor cannot agitate loudly and clearly – along with the Weatherill South Australian State Labor Government – on a ‘new front’: refuting Abbott’s Ideological commitment to a ‘small government’. Incidentally the ‘small government mentality’ – with all its consequences – appears to be prevalent at a Federal Labor level as well. 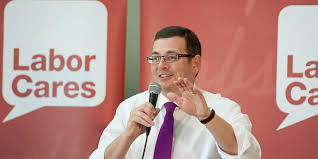 A long-time member of the Victorian Socialist Left, it would be well for Andrews to publicly adopt the cause of proportionately increased, fairly structured and progressive social expenditure. In the meantime Andrews Labor is committed to suite of policies including support for social and public housing – with regulations aimed at ensuring affordability for the aged and the disabled. As well there is Andrews Labor’s commitment to removing dangerous level crossings; and delivering enhanced fire services and reduced ambulance waiting times. There is also Labor’s popular commitment to restoring funding for TAFE campuses; and establishing jobs, education and training as a ‘top priority’. Finally the public voted for Labor on a platform of cancelling the expensive Public Private Partnership on ‘East-West Link’. But limited Victorian State revenues remains the bugbear that may come back to haunt the new government. Over the short-term Labor can afford to spend; and indeed needs to spend in order to deliver the Victorian jobs recovery it has promised. But for this to be sustained over the long term something has to change federally. And arguably failure to build crucial infrastructure would mean ‘bottlenecks’ which over the long term do much more damage to the economy than increased public debt. Abbott must take responsibility, here, rather than follow through his political blackmail of withdrawing federal funds. These arguments need to be addressed by Federal Labor also if Shorten is to deliver the full NDIS, as well as Gonski, and other potentially popular initiatives. That should include a National Aged Care Insurance Scheme; as well as Medicare dental, physio and optical; and for much more public and social housing to ‘gently deflate’ the housing bubble. Also crucial are funds and programs ‘close the gap’ on life-expectancy, and provide life opportunities for the mentally ill. And finally we have to reiterate that federal tax reform is crucial if efficient public investment in state infrastructure (roads, public transport, schools, energy, public housing) is to be sustained over the long term. It is also regrettable that Andrews Labor has provided for its promise on level-crossings through privatisation of the Port of Melbourne. Definitely it was smart politics; and the role of ‘smart politics’ in the Andrews Labor victory should not be understated. But arguably inferior cost structures (including profit margins) will now flow on to the broader economy over the long term. This is a ‘once-off’ shot to public revenue that once implemented cannot be reversed. There is a comparison, here, with Abbott’s privatisation of Medibank Private. Although that policy will have specific ramifications: creating a near-private monopoly in private health insurance, with the market-dominance of the newly-private player working against the interests of consumers. Also hundreds of millions will be lost to the public in revenue every year. Finally, Andrews Labor has the opportunity to pursue other progressive reforms; not least of all developing a progressive agenda on secondary curriculum that takes on the Conservative education orthodoxy championed by the likes of Liberal stalwart Kevin Donnelly. As against Donnelly’s professed narrow emphasis on numeracy and basic literacy there is a place in secondary curricula for the imparting of critical thinking and textual deconstruction. That applies the English, the Social Science and Humanities as well. Education should not merely apply to ‘labour market requirements’, but also must promote the demands of active and critical citizenship, as well as political literacy, and cultural literacy, participation and inclusion. Curricula should aim to develop ‘well-rounded human beings’. There is no need for bias in such a curriculum, however. The Liberal Party itself is struggling to survive organisationally as the young increasingly abandon political activism. Rather a ‘critical/active’ curriculum could promote an appreciation of interests and ideologies which was inclusive and balanced. As against Donnelly’s fears, it need not preach moral and cultural relativism. Such reform could be ‘streamlined’ through English, History, a new ‘Political Economy’ subject, and should attract support from all who are serious about of robust democracy. Under Joan Kirner curriculum reform was a top priority. So too should it be under the Andrews Victorian Labor Government.